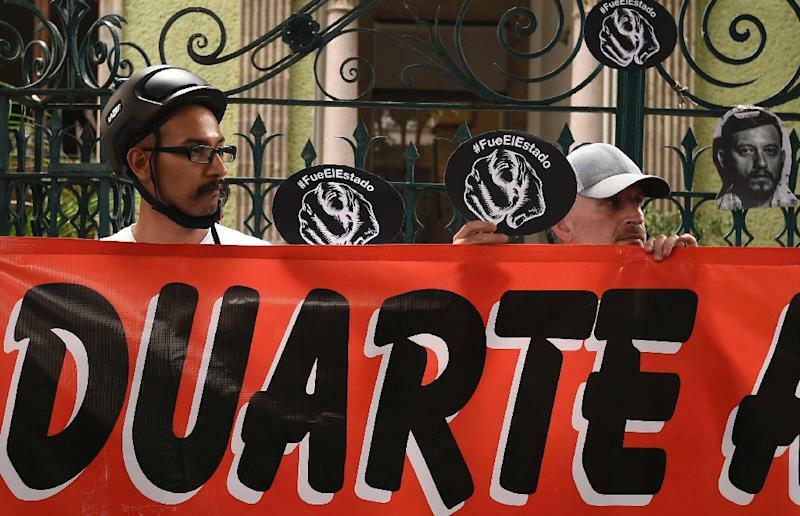 Mexico City (AFP) - The reaction by Mexican prosecutors and the media to the brutal killing of five people, including a prominent photojournalist, has drawn criticism from some quarters as slanted, sexist and xenophobic. The country was shocked last Friday when four women and a man were found dead at a Mexico City apartment, killed execution-style. Some of the victims had their hands bound, their bodies bearing signs of torture. Three of the female victims had also been raped. 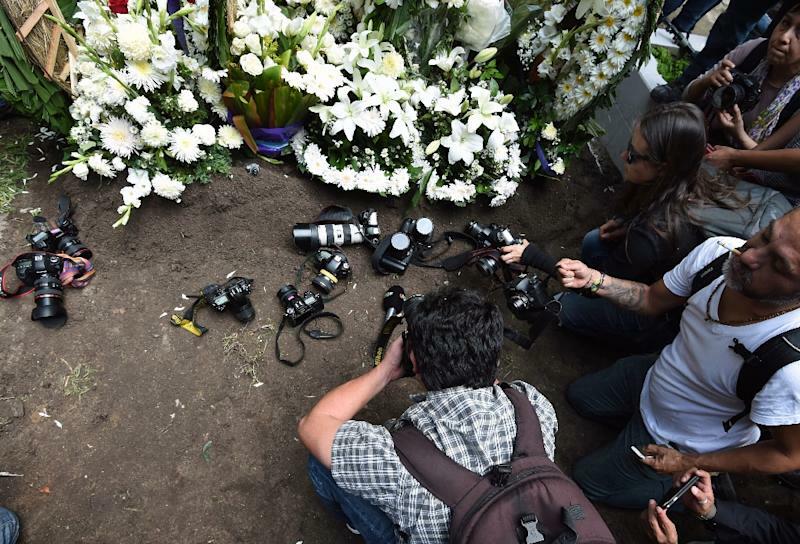 The murders unleashed new fears about the dangers facing journalists and activists in Mexico. Two of the victims, photojournalist Ruben Espinosa and human rights activist Nadia Vera, had recently fled the violent state of Veracruz after being threatened and harassed. 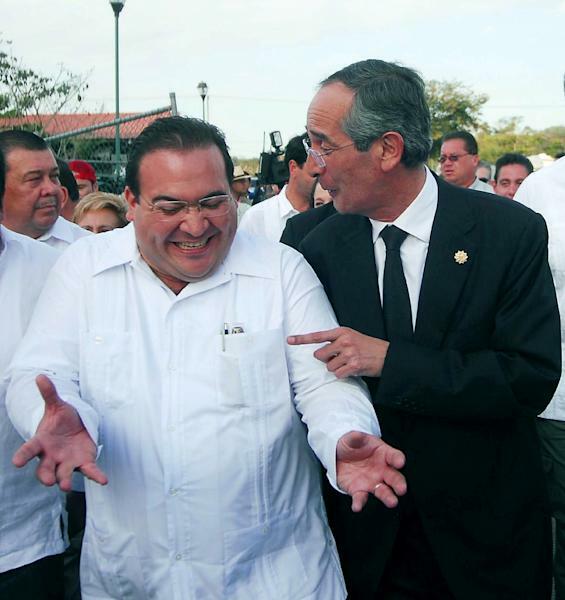 Both had been critical of Veracruz Governor Javier Duarte, a member of President Enrique Pena Nieto's Institutional Revolutionary Party (PRI) who has faced accusations of threatening critics. Prosecutors have come under fire for appearing to downplay the theory that the killings were politically motivated, suggesting robbery as a motive. Amid a swirl of speculation about the reason for the killings, officials' response to the crime and the media's treatment of it have outraged some observers, who say the women victims have been treated as statistics, while most of the attention has gone to Espinosa. The female victims -- domestic worker Alejandra Negrete, makeup artist Yesenia Quiroz and Colombian hairdresser Mile Virginia Martin, as well as Vera -- should not be treated as mere footnotes, say their families, colleagues and others. "The murder of women is treated cheaply," said journalist Catalina Ruiz-Navarro. "It seems as if they would be unimportant if Ruben hadn't been in that apartment. We wouldn't even have found out about the women's murders." There has also been outrage in Mexico's Colombian community about media reports on Martin, whom the tabloid press has singled out as a key piece of the puzzle. The media have focused especially on a red Ford Mustang sports car reportedly owned by Martin and used by the killers as a getaway vehicle. Amid a near-vacuum of official information on the investigation, a string of unattributed leaks in the tabloids have suggested Martin may have been the main target in a gangland-style settling of scores. "The general feeling is that they've begun using the word 'Colombian' as if it were a synonym for organized crime or prostitution," said Ruiz-Navarro, who is Colombian and works in Mexico. The tabloids have given breathless coverage to the case, with chilling photographs supposedly taken at the crime scene where some of the victims can be seen naked and bound, including Martin. Colombian archaeologist Yarima Merchan, who lives in Mexico, criticized this media treatment. "It's shameful to read some news reports that stigmatize (Martin) and take it almost for granted that she was killed in a 'settling of scores,'" she wrote in an article for news website Animal Politico. The Colombian community in Mexico has meanwhile issued a statement demanding the investigation "respect due process and stop basing its work on a pack of prejudices based on nationality, gender or the profession of the massacred victims."